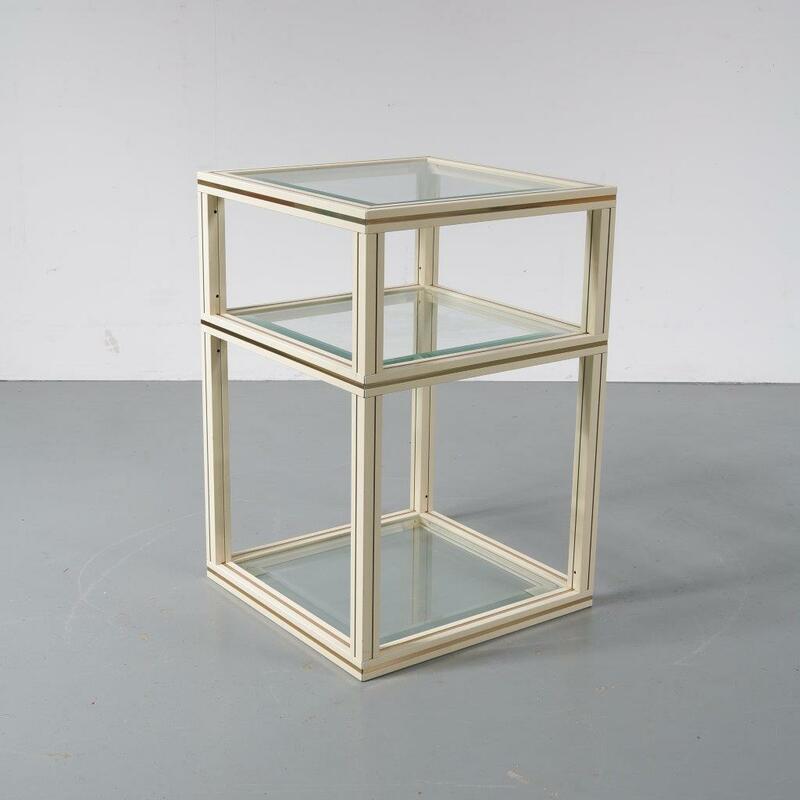 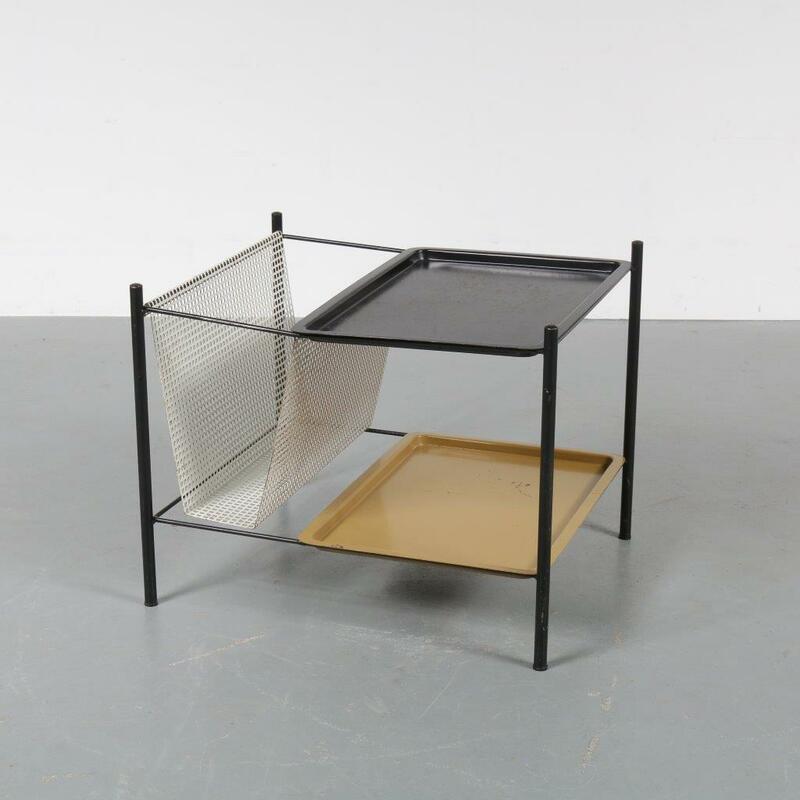 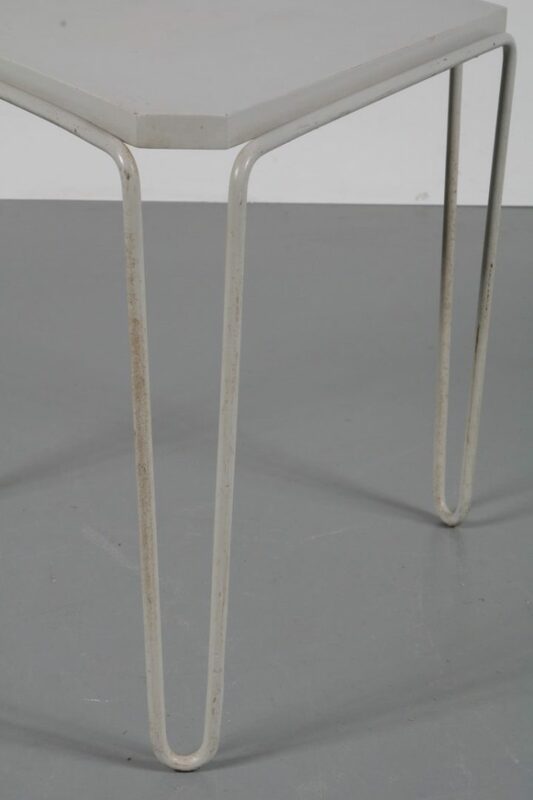 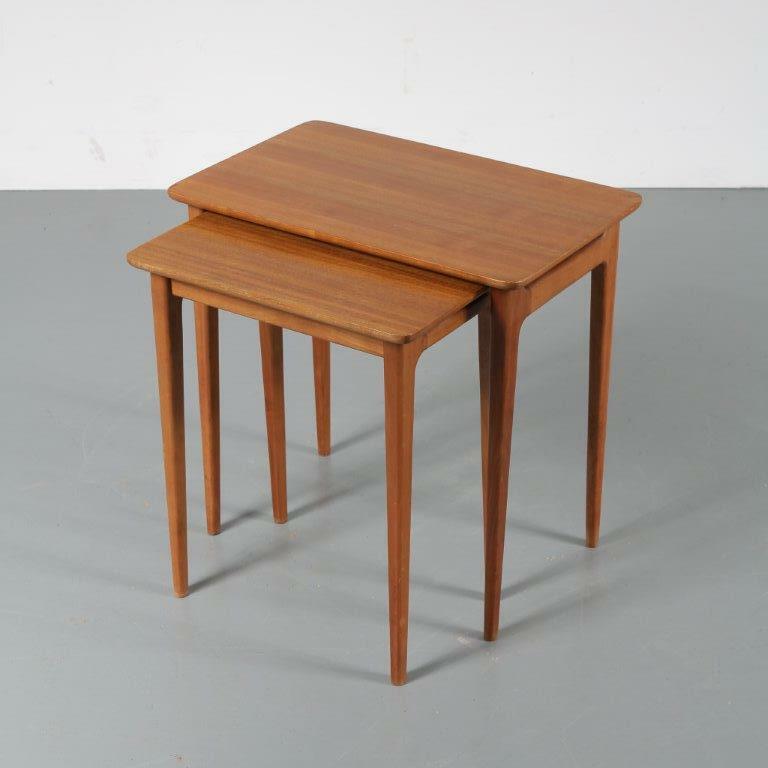 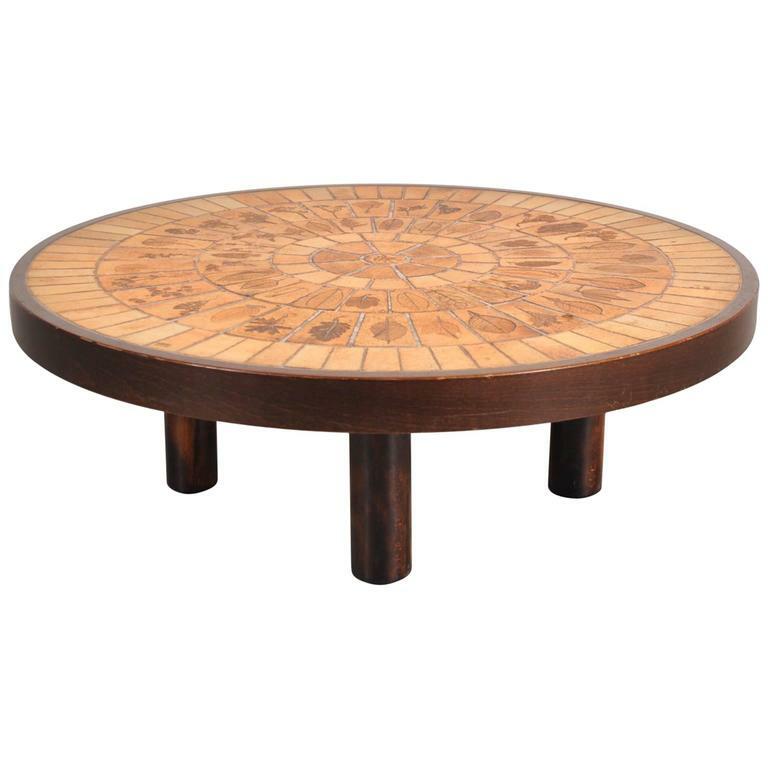 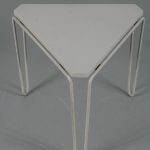 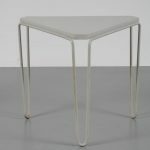 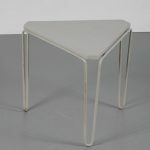 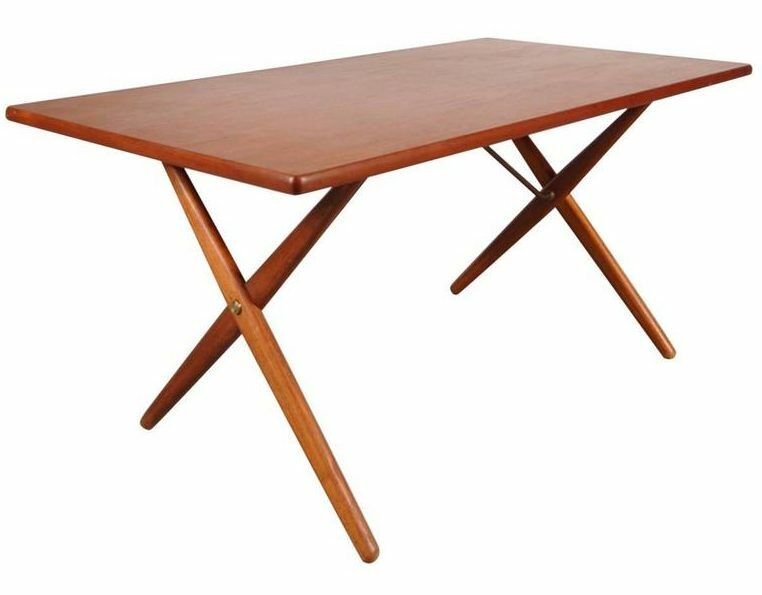 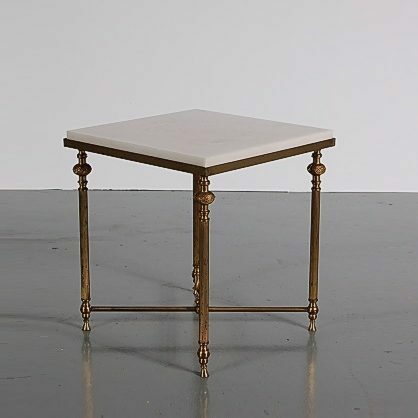 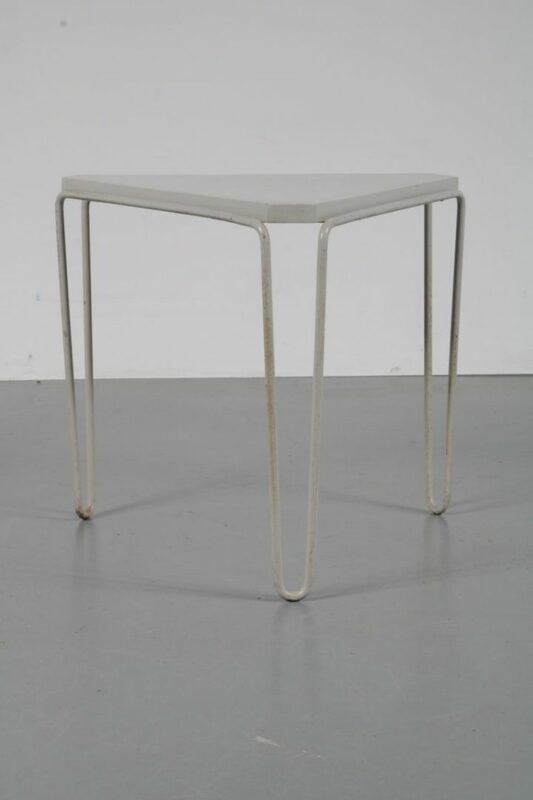 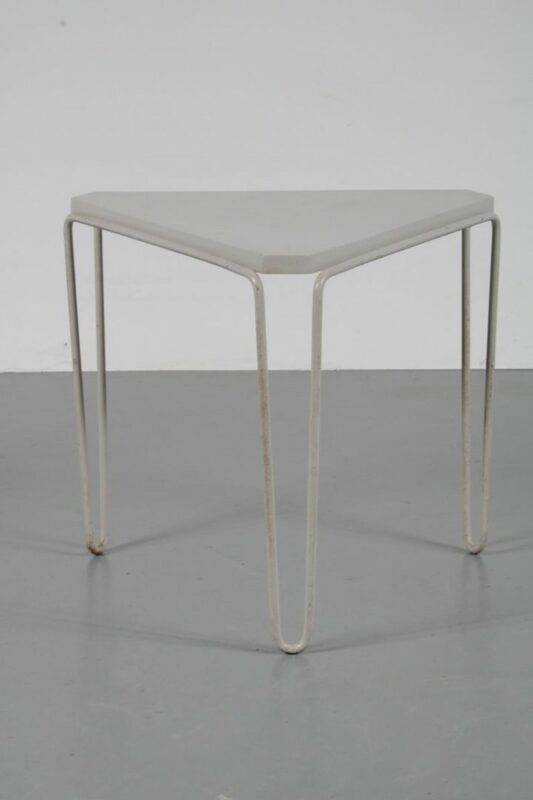 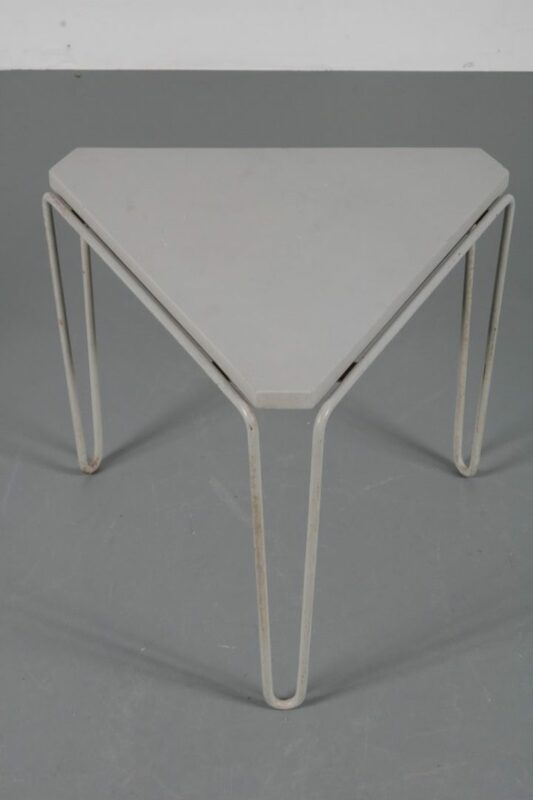 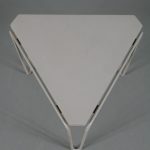 This unique side table named “Stolwijk” was produced between 1954 and 1955 for only a limited time. 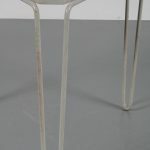 Designer Hein Stolle was a member of “Groep &”, who famously experimented with new materials and techniques after WWII. 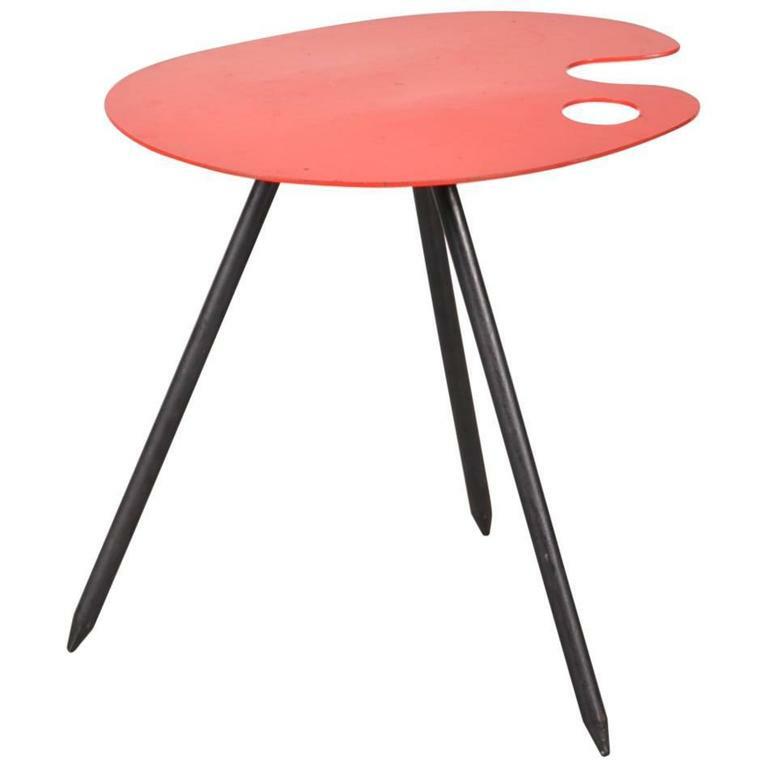 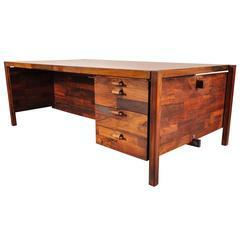 As a designer for Bijenkort, Metz & Co and Spectrum he definitely left his mark in the history of Dutch design. 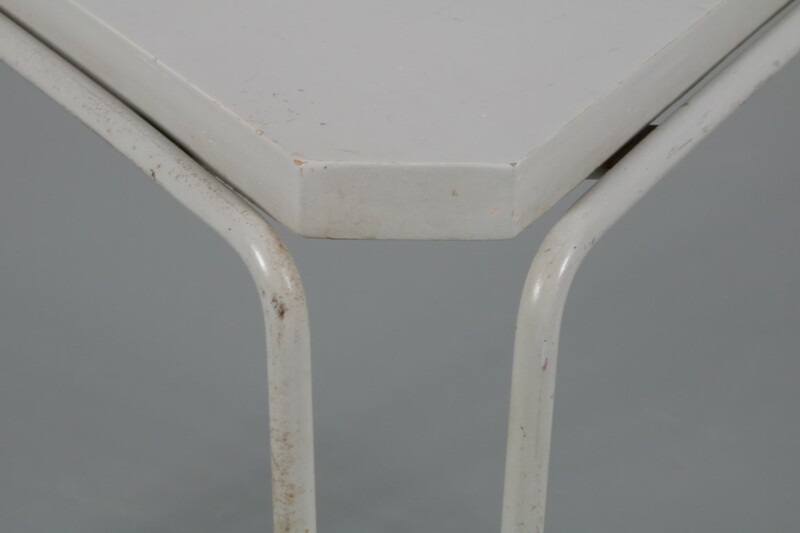 This table is a piece of that history! 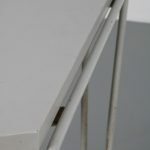 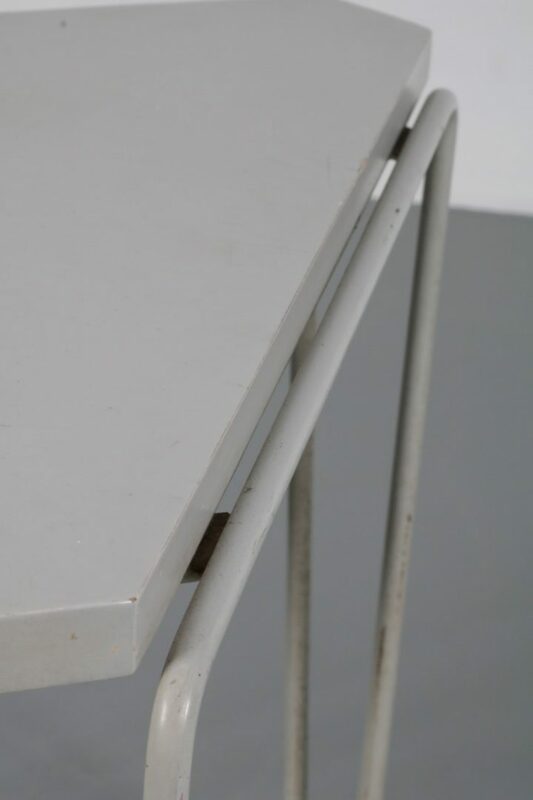 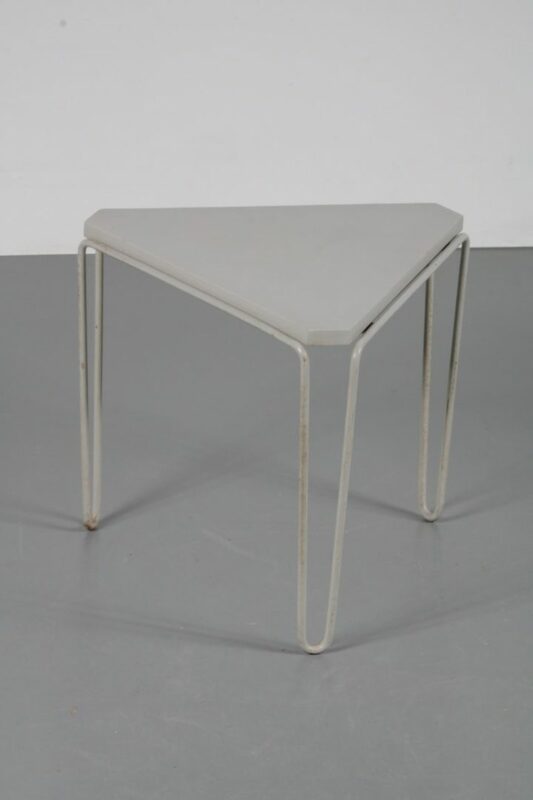 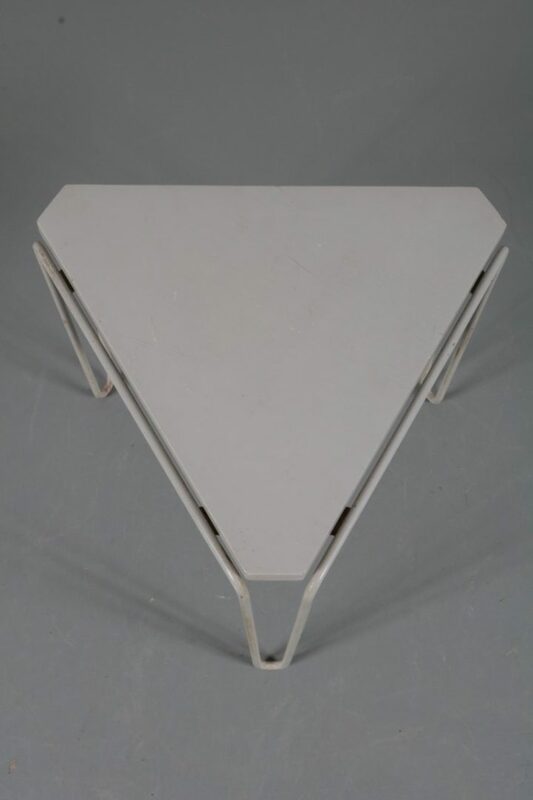 The base is made from one molded piece of grey metal, creating three legs, and holding a grey wooden top. 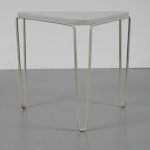 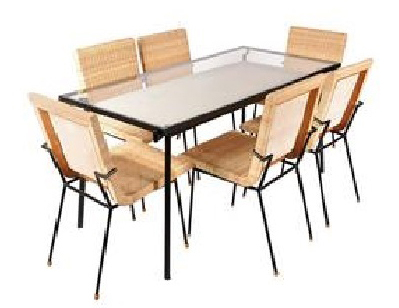 A beautiful, minimalist design that will definitely draw the attention in the decor. 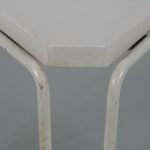 It remains in good vintage condition!